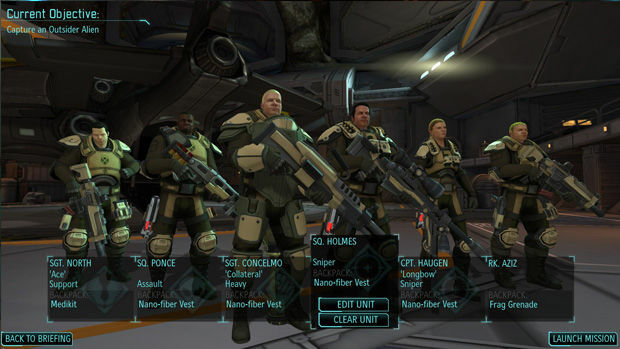 Series reboot and turn-based strategy crossover hit XCOM: Enemy Unknown will come to iPad and iPhone this summer, Polygon reports. Jake Solomon, lead developer of the title at Firaxis Games, calls it a "full port," in line with the excellent Civilization Revolution and Sid Meier's Pirates! iOS ports before it. 2K China will be handling the port, along with assistance from Firaxis. The port has been in development since October 2011, a year before the game shipped on PC and consoles. The only noticeable alterations made to the port will be less maps (due to file size limitations) and a new touch-friendly UI. There is no date or price, but publisher 2K Games has referred to it as a "premium-priced app." "It was one of those things that was a challenge for us to figure out on consoles where you steer the cursor with the gamepad," Solomon told Polygon. "It was actually much easier on the iPad because it mimics the PC in the sense that it's easier to steer your soldier, because all you do is look at the screen and click." The grid- and turn-based nature of the game makes it a perfect game for iOS. Now I can be stressed out of my mind wherever I go! In addition to this iOS announcement, Firaxis showed a teaser at a PAX panel for their next project. As of now, it's unclear if this is DLC or a standalone sequel. A new hostile species (perhaps from the deep?) is the focus. Check it out at Kotaku.